As usual we are preparing a fast, but technical race course for you! Exciting for riders as well as spectators! 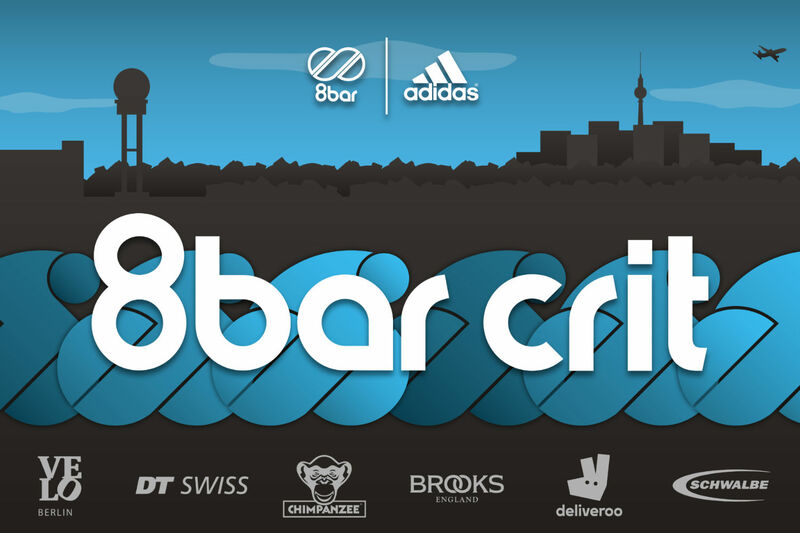 This year the 8bar crit will be held within the VELO Berlin bike show program on Tempelhofer Feld. While the VELO is running inside the old terminal building we will occupy the field in front and bring you exciting race action! As a visitor you can regularly attend the VELO bike show. You can buy tickets with reduced pricing via this link. We will update this post regularly as more details are available, but you can follow the updates on facebook and instagram as well. Stay tuned for more information and check our facebook event as well. The 8bar crit is a fixed gear bike race on a fast and technical course with approximately 1km length. The full event will be run with fixed gear bikes in a brakeless setup. This combination challenges the riders not only to be quick, but also to race intelligent. There will be qualification heats throughout the day and three finals: men’s A & B final and women’s final. There are two subway stations close to this years location: Platz der Luftbrücke and Alt-Tempelhof. 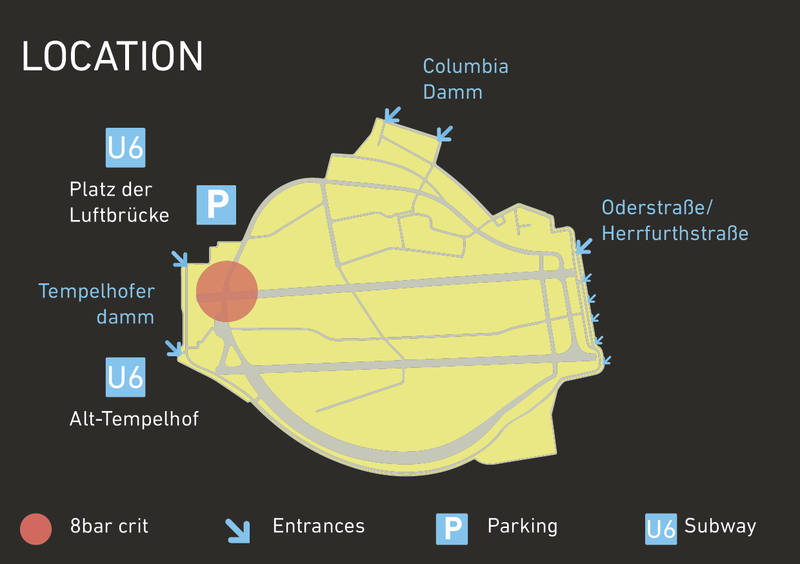 If you are coming by car there will be an official parking lot which will cost around 9€ or you can find free parking spots around “Columbia Damm”. All riders have to access the area via the back of the location directly to the race area, where we will perform bike checks etc. More information will follow in your rider briefings that you will receive shortly before the race. All qualification heats will be 10 laps on the course. Since there are more starters for men they will be split up randomly into two groups. All women will start in one. The position on the finish line will determine your starting place in the finals. For the three finals the mode is as follows: the top 25 finisher of each men’s qualification heat will start in the men’s A final. All other will automatically start in the men’s B final. For women all starters will start in the respective final by order of the qualification results. We couldn’t do the race without the support of Adidas, DT Swiss, VELOBerlin, Brooks England, Schwalbe Tires, deliveroo and Chimpanzee. Thanks to all the sponsors who support 8bar crit 2018! 8bar crit Berlin – 2017 from 8bar BIKES GmbH on Vimeo.